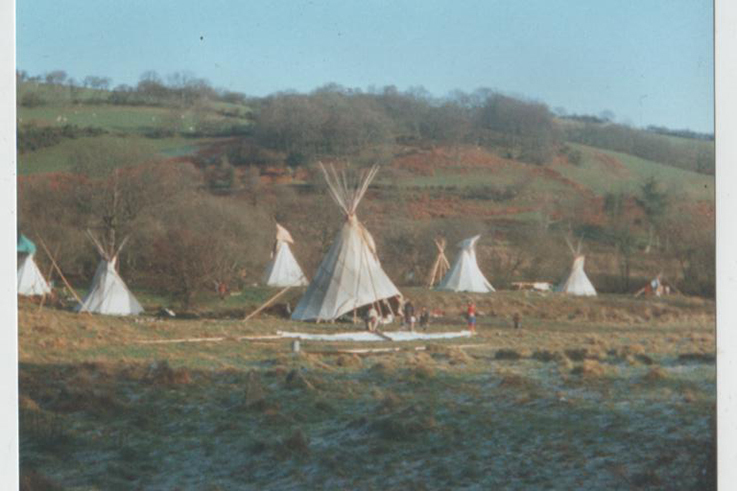 With 2019 at the doorstep, we wanted to share some history with a view to a more sustainable future so in the last days of 2018 I would like to look at some of the history of nomadic tents in the UK, and the role the Alternative movement played in introducing another way of life. My Story starts when I decided to leave mainstream society and travel. Yet before I had even managed to immerse myself into a traveling lifestyle, I met a different kind of destination. I was Born In Israel and going to my second meeting of world travelers, taking place in a forest by the hills near Jerusalem I have met another type of travel, a journey of awareness, I have met a group of people who practiced group consciousness work in that gathering and so just as I was about to take my first nomadic steps, those were entwined with consciousness work. The following year, having fallen in love with an amazing Sardinian girl and spending the winter in Italy, I have decided to go to another European meeting of travelers. 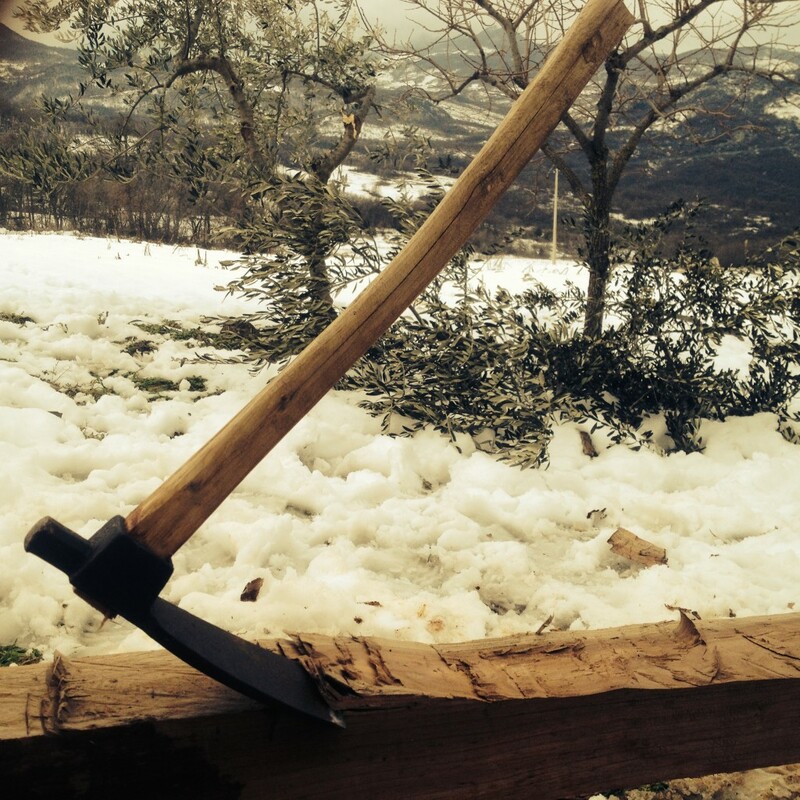 I and that girl have separated during the winter and we agreed to meet in the mountains of Portugal. When I got to the gathering, I met instead, the very same members of that group. The same two people who came to Israel the year before have greeted me just as I arrived, it seemed as if they were waiting for me. I say I traveled for love, as I used to call that Sardinian girl my true love (sometimes I still do), But the point is that destiny had another thing in mind for me, so I traveled for love, but I got the spirit instead, and so I entered the medicine area they were running as a service for the gathering. 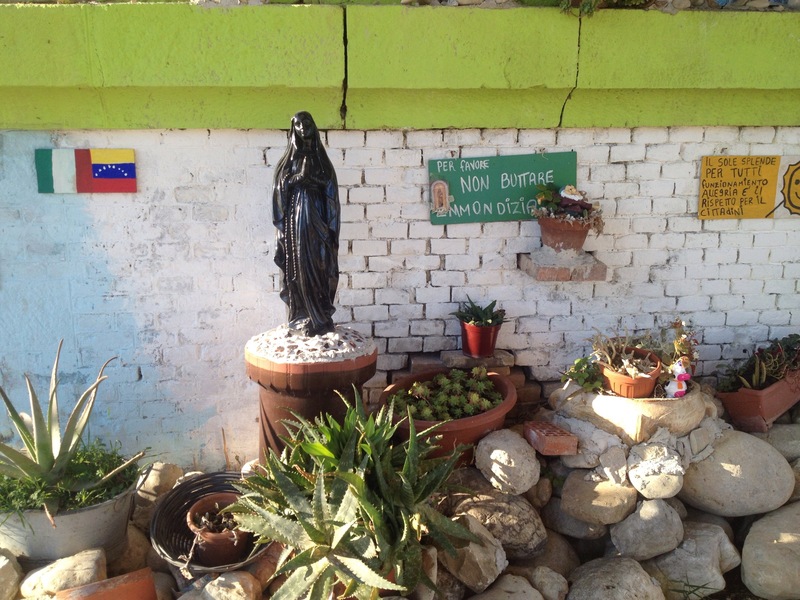 We treated the sick, and we worked with the healthy. It was a gathering of 3000 people so there was very little time to rest. It was 96′ and the alternative scene and the traveling world were very different to what they are today. People used to really live on the road, groups like Spiral tribe worked trans into magic. One of our cases was a girl from the spiral tribe who had kidney failure, and the drama around her healing, and the rest of her friends and some of the strange magic that issued when they tried to take her away, were beyond anything I’ve seen, she ended up almost dying and we had to start her treatment from the beginning, but we mostly worked on ourselves while treating others, the biggest changes took place in us, a younger group of people being taught another path. I have spent 3 months working with that group holding the medicine area for the larger gathering, in the course of that process everything changed, I have been transformed forever. I was taught psychic abilities I dont even know how to write about, and I have witnessed miracles. I left that gathering a changed person, or you may say even, that on leaving that gathering I ceased to exist as myself, There was no continuity, the person I was before had very little to do with what I became. But the thing I want to speak about in this entry is the work itself, not the medicine work that was carried, but the journey of awareness that a group of young people took under the guidance of the members of the medicine area. A theme that was really strong in that gathering was the separate “medicines” of the different races, many people have heard about the teaching of Native Americans, or their way of life, maybe fewer know of the Chinese esoteric system, and the same for African magical belief systems. Those are the 4 races: the white, the yellow, the red and the black. It seemed to me that what we were working out was the medicine of the white race, the medicine it has lost because unlike all other races it did not seem to have its own esoteric belief system. We wer not just treating symptoms, we aimed to tackle the symptom of modern day preception altogether, to open up the western frame of mind, and the experiment succeeded in us. In that gathering in Portugal we have found the key, by attempting a mass shift of awareness in the general Gathering goers, we also opened up our individual awarenesses. The secret tool so to speak is that by breaking the boundaries of separation within oneself one can take them down in others around. Things like Telepathy, thought forms moving into the manifest, weather control through feeling, and a host of other things, were made available to us, a small group of young people who never had a clue. You may ask how is this relevant for the here and now, or even where this story is even going. This story is a sort of insight into the alternative movement, and the secrets that it explored. The problem with secrets is that they are not normally shared. All of us that have been there have certain issues talking about what we experienced in the open. We often get psychological profiling or shunned, or even because we do not want to frighten people, so we end up never talking about it. This story is an attempt to point out that parts of the traveling scene and the alternative movement, or you may call it the new age traveler scene had discovered something monumental. The group that has taught us were all from the UK. it was now a year later, and after a spell of living back in Israel alone, and the atomic meltdown that this group suffered as a consequence of what they attempted to do, I found myself following the call for a working partner, It was as if I reached enlightenment, yet I was alone, more alone than I have ever been, because now I was also different to anyone I knew, I seemed to have been transformed on a really deep level. I traveled to Scotland to take part in another gathering, in that gathering I have met most of the younger group that we with me in medicine area, we were all young and none of us really knew how to process the experience or even talk about it, I guess we suffered from a post-traumatic syndrome, yet because we all traveled no one really had time to reflect and arrive at some resolutions. I’m getting back to the motive behind this blog post now, and that is that in that gathering I met a woman, she was very tall, and she used to walk around with a brown woolen Jallabyia from Morroco, she walked barefoot in the mud and she played her violin by the fire, but what struck me most about her is the way she lived, and the tribe she belonged to from Tipi Valley (a land-based community in Wales with people living mostly in tipis) . In great contrast to the rest of that gathering where the travelers couldn’t deal with the wet wood, the midgies and smoke, they lived in a proud big tipi. Kids were running around a massive fire, and big iron skillets and pots were cooking food for all to share, whilst it felt like the rest of the gathering couldn’t deal with the harsh Scottish weather, those guys were at home, and that home, was a tent. Here was a group that actually lived on the land year round, I fell in love with her as you may have already gathered, yet in my personal story, there is still another story, the story of the impersonal, the story of the Alternative movement. Traveling later to Tipi Valley in order to “kidnap” her so to speak from the “Indians”, in some sort of modern tribal act, and traveling the world together, we ended up coming back to live there. Bit by bit, the rest of the younger group from Portugal have followed suit and we lived in a sort of fusion of two core elements of the alternative scene, the medicine tribe, and the tipi people: The marriage of the sacred and the profane. like I said, we rarely hear about the contribution of the new age traveler scene, people who left their lives to travel like gypsies, living in benders and tipis on the land (this was before yurts were integrated), at best we hear some personal stories of magic and mystery, but more likely we usually hear of tales of failed protest and broken communities, so it is not really understood what this flare did, and where it guided mainstream society, its members now live in the terraced flat next door. It is said that the new age traveler scene was a bricolage of beliefs with an affiliation with the oppressed, which is a good observation. So in order to shed a little light on its contribution and to share some of its core truths, I felt like I needed to write about the past. To touch a little on what we were trying to achieve, what we explored: a new way of life that had community and magic in its core. The long crystal clear nights of winter when snow lay on your tipi, and big beech fires were the only way to warm up, kids running into the stream and coming out blue from the cold, yet smiling. There is a story in Tipi Valley that Archie Lame deer came to visit when he was traveling in Europe, He told the people of Tipi Valley that they are truer to the Indian way of life than most Indians. I belonged to the medicine people, and the woman I lived with, to the tent people. In coming together we attempted to bring those two families into one, bring them home, into a vision of living the medicine on the land. Though after a few years, the amount of profane in the community we lived it conflicted with the sacred, or you may say we have not reached a balance of the two. So this little family, the small tribe we were part of inside the larger community of tipi people left and started a strange life in trucks on the road, looking for a place we can root the medicine work in the land. There are endless magical stories of travel and community in that period too, the guy who brought us together in Portugal 96′ used to call it “Transfusion”, because we were coming together as a community on the road, fusing in movement. Having touched on some of those subjects, not so much in order to showcase, or even reveal, but as an attempt to remind us all about the role of the alternative movement and the lives it led in search for meaning, and touching a little on my journey in order to give this impersonal story a personal touch, I am trying to point out that the tents we make, the life we try to direct others into, are a result of some larger truth, the medicine way of the White race, the alternative. Years have gone by now, and those alternative truths have been blended and watered down into the mainstream, its a sort of trade-off that we as the people who lived them underwent too in most cases. It is often argued that Margaret Thatcher killed of the new age traveling scene, but I think that as a movement it simply didn’t have a clear vision, kids were born that wanted to go to school and trying to stand tall in protest, made it clear that the alternative scene didn’t really have anything to protest about, it came out of mainstream society and it got swallowed back into it, and the tradeoff of that lifestyle resulted in us making tents or teaching alternative lifestyles as courses, and it also gave birth to Glamping, a whole new industry, our friends run festivals, wedding hires, its as if the lifestyle got distilled into the everyday, and we have those people living in tents to thank for that, them and their love for the natural, for the tribal. I say it was a trade-off because on some level we would have preferred to stay poor and live those two realities, we would have preferred to bring that marriage of medicine and tent living into a meaning of its own. But in a strange way, we sold off a part of the sacred so we can find a way to live in the profane. Now we all have tent making businesses, and we hold Glamping sites, yet we feel like we are selling a part of the magic instead of bringing it about in full form, as if we are selling ourselves in every tent we make, selling our fire, the tears that we cried by them, or worst still, we feel like the core issue is always missed, that we sell the tent without the lifestyle, as if we bring many others into the community without ever sharing the magic, that we took part in, the secret we hold. Maybe its also an attempt to remind us all about what all those tents are really about, and the small tribes of nomads who left a normal life in order to live in them, they were not Indians the grew up in London and Bristol. We understand that this new leisure industry and its success isn’t just another way of holidaymaking, it is built on the lives of people who fought to make a difference, and maybe if you end up in one of those tents, you could somehow trace it to the Transfusion that we went through in them. So behind our tents, there is also a secret love story, with another way of living, and that is the one I wish we could really share. But enough with all the nostalgia. As its winter I like to reflect, to look ahead at new visions and we have been making some exciting new plans, yet before we launch into them I thought some History would help us all to reflect, and remember why this love affair we have with tents, why has this alternative now a million pound industry, I wanted to share some of its magic, and meanings. So we lived for many years on the road in trucks or on the ground in tipis, as a part of a group consciousness process. We started making yurts in 2003, and set up Spirits Intent, making yurts and other nomadic tents in 2005, and at that time there were only a handful of other yurt makers in the UK, and the word ‘glamping’ didn’t even exist. 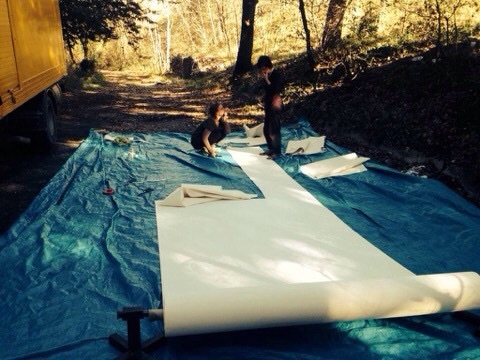 We focused more on the canvas sewing side of things, as that was what seemed to be missing in the UK— our clients included other yurt makers, and obviously campsites, who need replacement tent covers, which we do from afar using measurements, whilst also supporting them with ongoing canvas care. 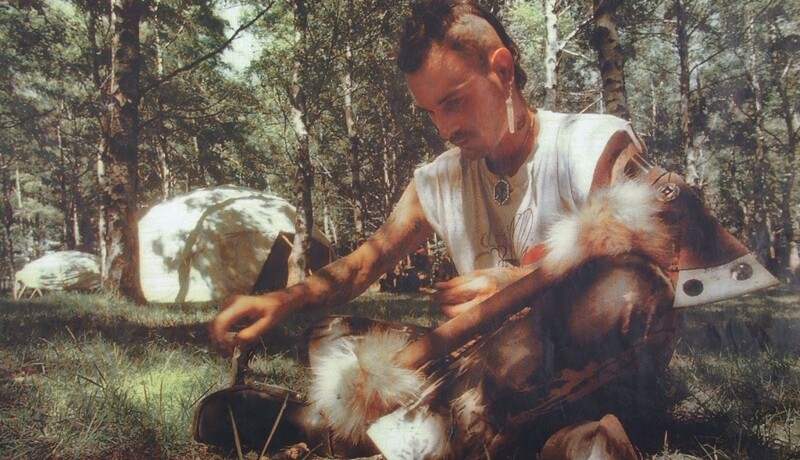 We always had an idea to build a new kind of campsite, with a focus closer to the origins of these tents, and as a base for the group consciousness process which we have part of for many years. The cost of land in Britain was prohibitive, so fast forward to 2015 when we packed up and left the little valley in Wales, where we had been living and working, and headed to Italy. Who doesn’t have romantic ideas of La Dolce Vita in Italy: good food, a rich history, beautiful language and great climate. 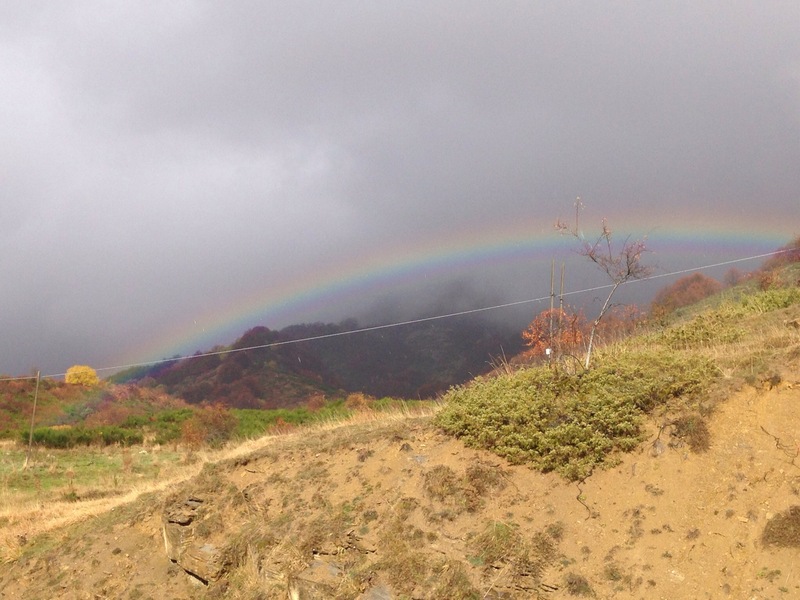 As we crossed the border into the Abruzzo region of Central Italy, we were welcomed by a magnificent double rainbow, so knew that this was going to be our place. We had never ventured this far south in Italy, and were amazed at the extraordinary variety of the land, with dramatic peaks over 3000 m just a short drive from the beaches of the Adriatic Coast, hardly any big industry, and hilltop villages with spectacular views. Abruzzo is a land of mystery, who has never forgotten her history and origins: traditions, folklore, festivals and ancient varieties of grains and vegetables have stood the test of time. It still stands like a stronghold against the mainstream of Italian culture, like it did when the Samnites, its nomadic people, fought with Rome and is now known as the Green Heart of Europe with rich vegetation, forests and wild life: wolves and bears, deer and wild boar, magnificent birds of prey. We found 12 hectares in an old abandoned farm with an old stone house, as we found that having a building on the land helps considerably with any project. The farm is called La Difesa, an ancient term that comes from its prior land use, where the feudal lord had a parcel of land, defended (difesa) for the grazing of large animals, feeding on the acorns under the massive oak trees, which were not allowed to be cut. As well as oak forests, it is abundant with fruit orchards and olive groves. 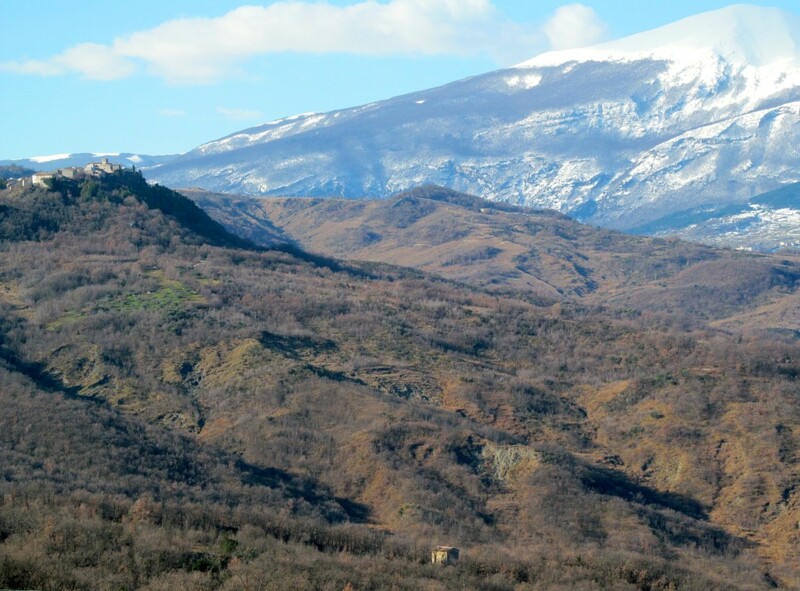 It stands on the doorstep of the Majella Massif, known as the ‘Mother Mountain’, whose views are so jaw dropping we still can’t believe we live here. It’s a wild powerful land, lying between two rivers and the nature is strong — the mountain has a rhythm of its own and it’s not unusual to have intense storms, interspersed with endless sun, never mind the myths of old goddesses lying asleep next to sulphur springs that are hidden in a grove 500 meters away. To begin with, alongside our UK canvas work, we just focused on building Heartland, our site: clearing the land, restoring the orchards, making yurts, renovating the house, and running small non-profit events with a theme of well-being and sustainability. The local people were curious and overwhelmingly welcoming, coming to meet us and bring us gifts of their produce, the local priest even came to bless the house, and recently, the mayor of the local commune came and sat around the fire and joined in the singing. We soon realised we couldn’t just focus on our project as we could help the local region, which like much of rural areas in central and southern Europe suffers from the disease of depopulation with outlying areas of villages being abandoned as the farmers compete with big industry on the plains and youth leave the villages for jobs elsewhere, taking with them ancient knowledge of the region. We realised that we could design glamping sites as a tool for famers and land owners to diversify and supplement income and bring energy to the area in a sustainable way. Glamping in Italy is no where near as established as it is in the UK, and still in its infancy in Central Italy, so a Glamping Revolution was born: GlampItalia. It started promoting Glamping products in Italy, and got names like Featherdown Farm, Outstanding Safari Tents, and others on board. We started sitting in meetings with famers and local bodies, eventually gathering a whole network of small eco-projects and farms in Abruzzo, for the creation of an integration between sustainable tourism, and organic farming that has roots in the rich farming tradition of the area. Abruzzo is a well kept secret, and doesn’t need an invasion of mass tourism, but a slow tourism which supports the local culture. There is an opening to put together a methodology based on a concept that has transformed the hospitality industry in the UK, but here it can actually save villages from ruin. Meanwhile we started hosting more events: yurt-making, healing arts, green building, with personal transformation work always an underlying theme. Living as a group around the fire in the quiet of wild, abundant nature is a profound experience. We intend to host two events every year, Spring and Autumn, and this Autumn we plan to raise the central canopy of our Zodiac Tent. We have always had a passion for tent palaces and, over the years, have made or been part of making several of the grandest. This tent is a reproduction of a court tent of the Mogul emperor Humayun: a grand 20 metre central tent (representing the celestial sphere) surrounded by 12 yurts in a circle (for the 12 Zodiacal signs) – a micro cosmos, and will form a magical venue for events for all over Europe but with a base on our own site – Heartland. The site now has 4 yurts, a tipi, a kitchen area, compost toilets, outdoor wood-fired bathtubs and a Shepherds Hut under construction. As well as running our own events, we intend to open the campsite, including the Zodiac Tent, for groups of people to run independent events such as team-building workshops, bushcraft courses, and holistic health events. Bureaucracy in Italy is agonising and about 20 years behind the UK, but the legendary red tape for planning permission has been surprisingly not so red, and can be as easy as liasing with the local Commune. Obviously the nature of permit is defined also by the activity, but there are options that do not exist in the UK, where tents can be pitched on agricultural land, or the commune can bypass a need for a change of land use with a simple declaration from the mayor. The Italian tax system is more prohibitive than in the UK, but like many people that have moved here, the sun, food, culture and warm hearted people by far make up for it. It is important that a place inspires your love strongly and we advise people moving over to allow two years for the leap, and to work with a solid local team of commercialista, geometra, lawyer and architect. There are an endless amount of rural properties at a fraction of the price of land in the UK, and some villages in Italy are even giving away houses to reverse their abandonment. 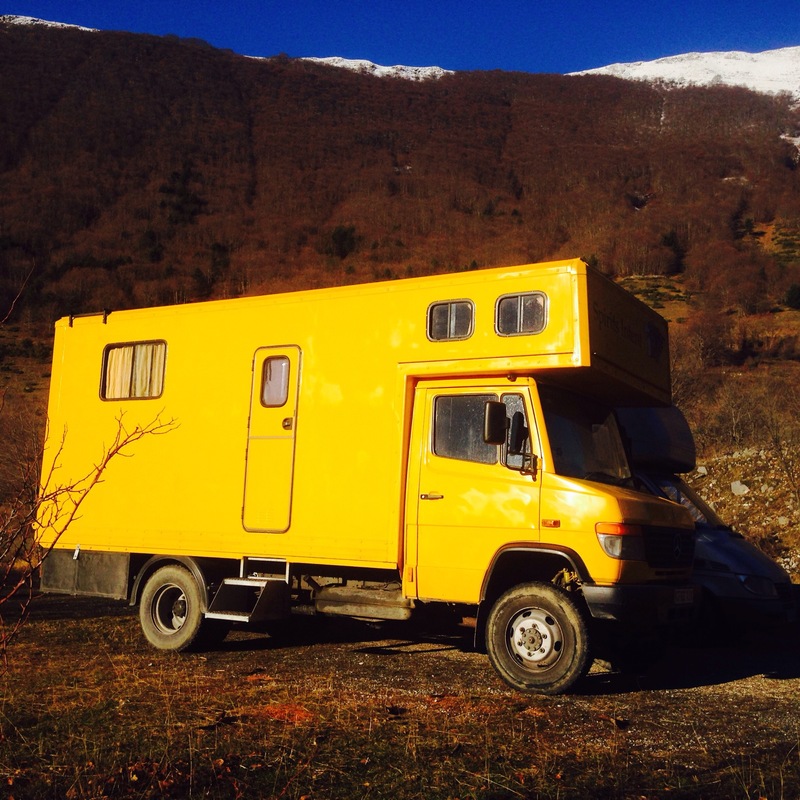 If you have a dream of moving out to Italy to start a glamping site or similar project, it is a good time now before Brexit as who knows what will be possible then? 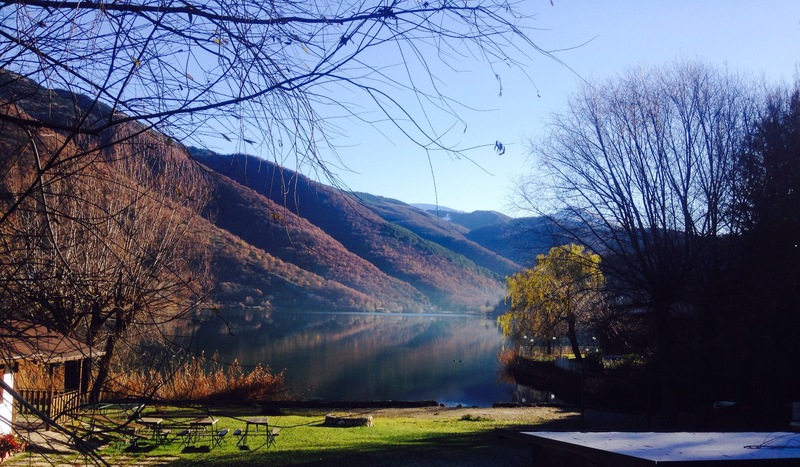 We are happy to offer advice and bring more projects onboard to create a sustainable tourism network throughout Central Italy, and a movement of visitors between them. 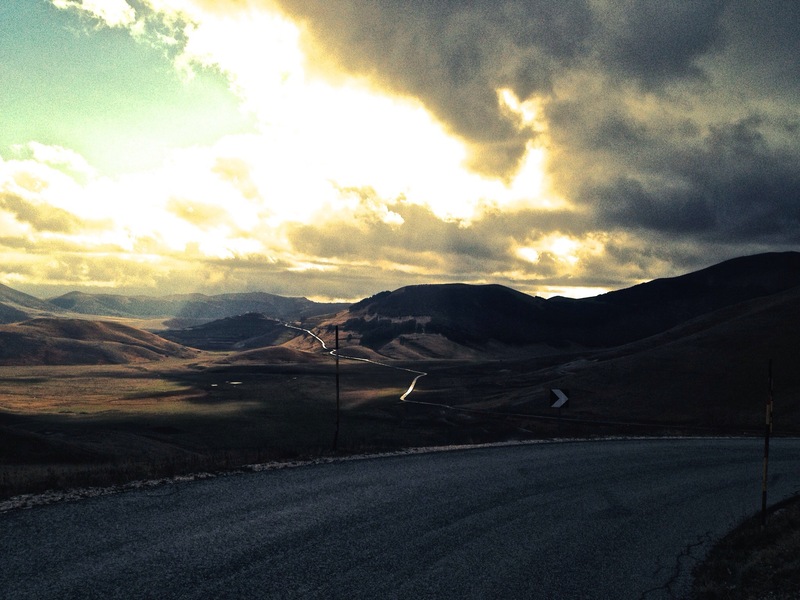 Abruzzo is unbelievably beautiful, and we are finding a balance between reversing the abandonment yet loving the quiet it produces – living in a myth of ancient Italy, on the verge of a new dawn of sustainable redevelopment. It’s a full, fulfilling life and a good cause to live by. Thor Heyerdhal is one of my favourite writer explorers. 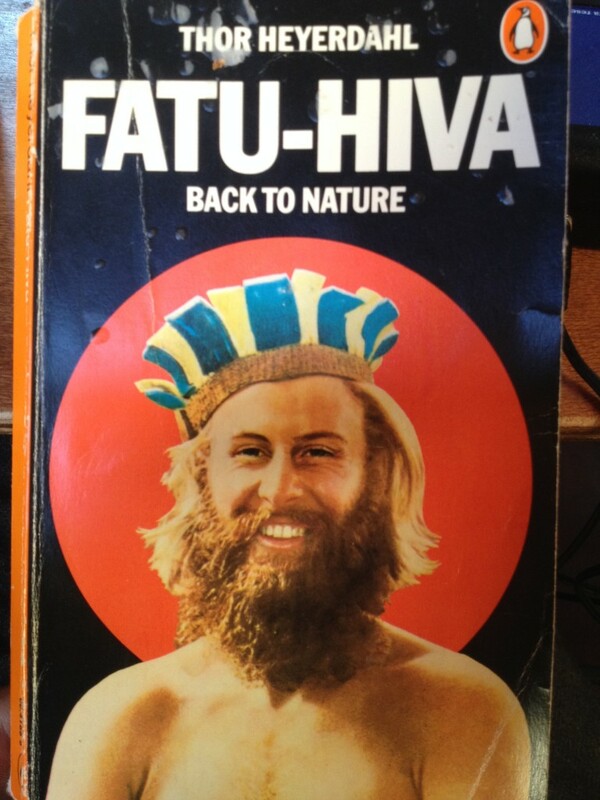 Fatu Hiva is his first adventure, when at age of 22 he decided to live his childhood dream, leave modern life and go back to nature. The line “Back to Nature” has become so embedded in our awareness, prevalent especially in our line of business. I like the fact that he was the one to coin it though, his journey taking place before Second World War. I’m a great believer in holographic maps, so the first thing has the seed of the whole. I believe that there is an awareness that communicates with us, and I see Thor Heyerdhal as a pioneer on that level, someone that lifted the flag of going back to nature, as the remedy to the white man’s disease. That was his message, although along the line he discovered the great voyages and ancient man, the voyages of Kon Tiki, the Sun God, in ancient rafts across the sea. I love those too, but that’s another story. 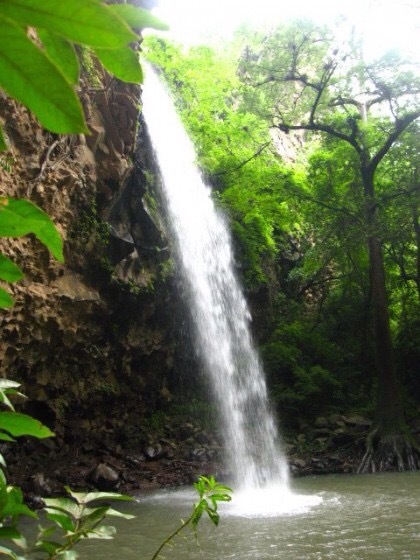 The book takes him to Fatu Hiva, an island in the Marquesas Group in the South Pacific, where he and his young wife isolated as the only place they can truly go back to nature. On arrival they find that the interaction with society is killing the population and even there, halfway across the globe, civilisation has killed the natural way…….. But on the other side of the island they meet a link to a world gone, in the figure of the last cannibal on the island. They live with him, like a living manifestation of Thor’s Ideas, being healthy and living the old way, whilst the native population the other side of the island is dying off, from living like the white man and eating his food. 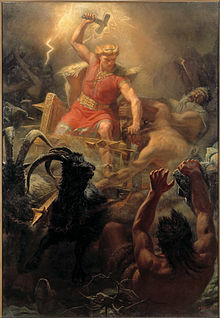 The visit to Fatu Hiva ignites Thor’s obsession with the idea that the Polynesian islands where populated from Peru and not from Asia like previously believed. This great book comes across to me as a message, a personal one, a guiding blueprint. 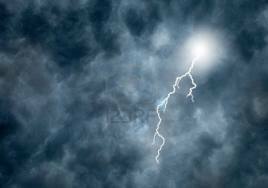 Yeah its all so clear, back to nature is the way onward, everybody has been saying it, we are saying it, but there is a force in being in contact with the original messenger, and his message. How did it turn from going back to nature to totally change ourselves and reclaim our ancient self, to going back to nature for “glamping” (no offence to our campsite customers!) with a bottle of wine, and an iPhone? 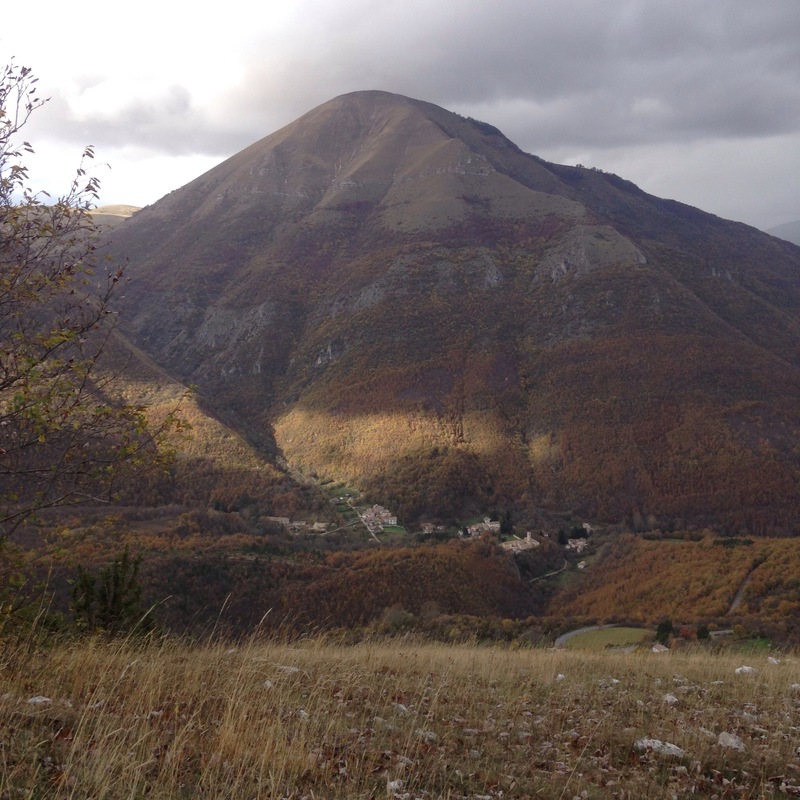 Having just got a place in the Wilds of Abruzzo, Italy had me thinking about all this, the sheer contrast of the times when I’m on that land, where we don’t even have electricity, to the the time I’m at the Gatehouse, a mile away, with wifi and power. It’s like civilisation stops a mile before the land. Also in my work, there is such a contrast sometimes: I make tents for my customers using power tools and machinery, but make them for us using hand tools only. I make door posts out of tree trunks, knowing the scorpion that crawled by the tree. I know it will be the Scorpio yurt, because the tree spoke to me. The message is clear: we have found a place where the italian country side has been reclaimed by nature, it is only half a century ago that the fields were cultivated, and the olive trees amazingly have survived it all, the wells are still full of clear water, but the land has gone back to nature. It’s an ancient place, but it has been abandoned and has gone back. I’m working to re-open it up, but the truth is that I don’t want to take it back away from a nature, I want to let it take us back to it. Once upon a time when I was young, in another life it seems, I was a part of a family of quarry men. I used to live in a hidden lake in the north of Israel, a quarry that filled itself up with water. I remember seeing how it was that the grandfather was the one who dug the hole, the father the one that made the profit, but the son, the son he has gone back to nature. The quarry filled up with water, and I lived next to it. It was a secret, they called it the hidden lake, so I feel close in being to Thor Heyerdhal, renouncing modern life for that connection with the elements again. This comes back to me now. I have my own digger and I feel like one of those quarry men of Israel. It’s strange the line that runs inside of us, like a split inside our being, those ancestors that mined the land, and me, that lived on it. I use my power tools, so I can live without them, that to me is so funny. 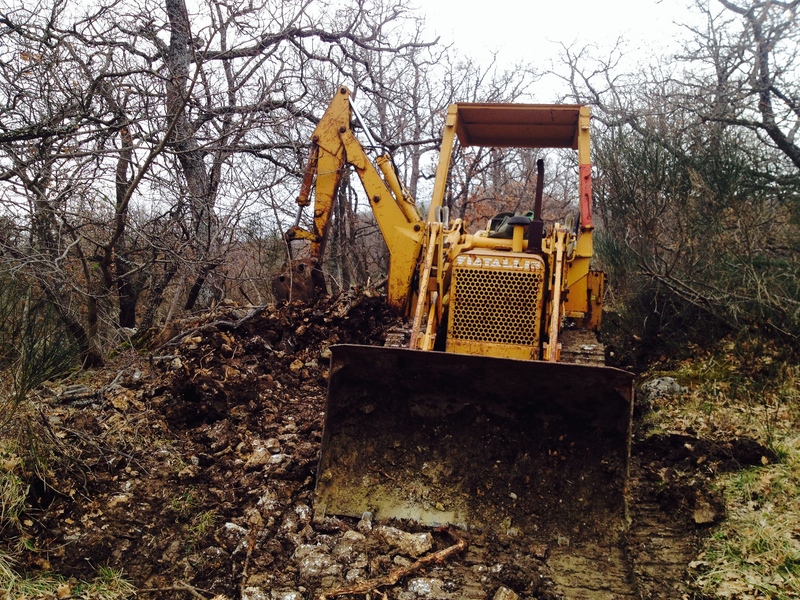 So yes I have a digger, but I make the road with it. I feel strange sometimes as I push oak trees out of the way. Those power tools are too strong, but I guess this way, the oaks can grow by the road instead of being cut, and all those power tools are making that road back to nature: we call it Heartland, the place that nature re-took, the place where our wild nature will reclaim us at. No more rhymes seem to be coming so I will carry on in prose. It can still be an ‘ode’ can’t it’? Anyway it is very refreshing to change the whole reality once in a while and adapt to a new way of living. I had forgotten the magic of this way, where everything becomes more precious and one appreciates the little things more. Somehow living in a house with mod cons, it’s very easy to get lazy and take things for granted, like getting clothes dirty because you can just throw them in the washing machine. And one needs to be much more conscious of water use, with a limited amount of water on board. You put a bucket of water on the stove to heat up then use it to wash your body, then wash clothes then the truck floor. When it rains we put buckets out to collect rain water dripping from the truck. Food is more interesting with changing availability and local delicacies. You can’t always get those avocados so it is especially nice when you do and there is ediblr, wild food everywhere, although not so much at this time of year. 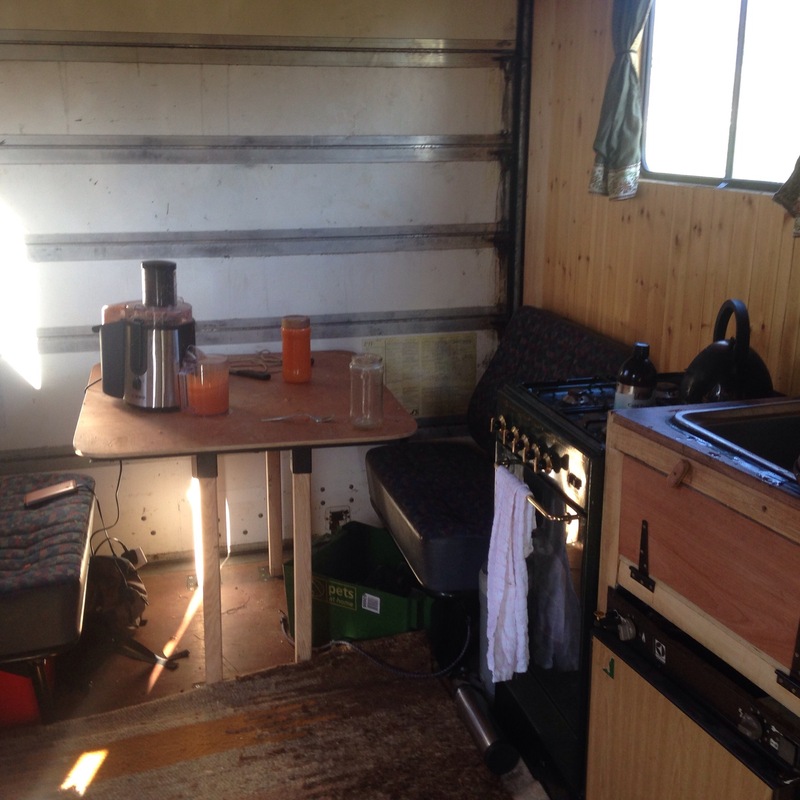 Making juice is a more involved process as the juicer needs to be got out and packed away, the generator started and stopped and this somehow makes the juice more delicious. 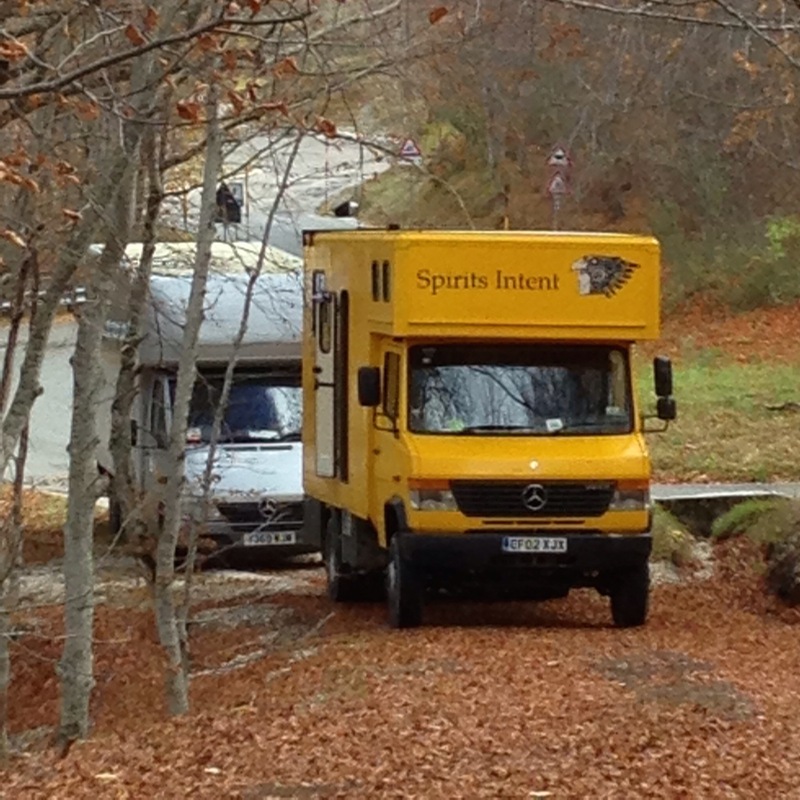 As you may have read in earlier entries, we continue to run the sewing side of the business when on the road, meaning we have to adapt to the terrain and work with the weather. 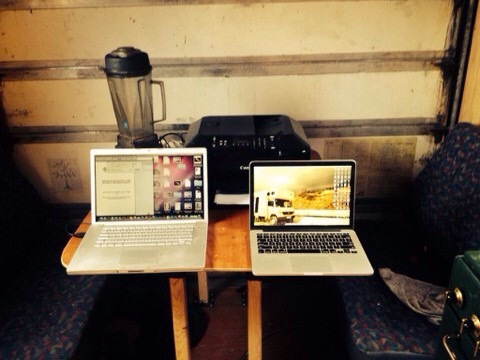 We also have a fully functioning mobile office, thanks to mobile Internet and the Smartphone. I do sometimes miss the days before the phones and the Internet when we would hear gossip along the grapevine and receive rare letters at Poste Restante addresses, the news of which would last us for weeks. For meeting up we would have to rely more on the Inner-net and guidance, and if we needed to get a part for the vehicle or directions to somewhere, we would actually have to ask the locals. We used to rate Park-ups on a sliding scale from one to ten according to facilities. A ‘ten’ would be in a beautiful place miles from nowhere with water, wood and one could stay there as long as you want. We have since discovered the magic of a ‘minus seventeen’ Park-up, which can be something like overnight at a motorway truckers stop or a yard at the edge of an industrial area, and sometimes these sort of spots are the quietest because there is no attention from people and you don’t have to defend anything. There is a lot of room for personal growth in sharing such a small space with others. One learns tolerance and an awareness of other’s personal space in the constant dance of who is cooking, who’s on the bed, who’s doing yoga on the floor, whose coat is hanging by the door, where you put your shoes when you come in etc etc. And the refreshing feeling of having only a few personal possessions. All too soon we will land again in the next place for the next adventure, but for now the road is shining us on. And the authorities, looking at excavators for making roads to inaccessible isolated places, to create places that are very isolated. Sometimes on the road there is a little un expected gem, you turn a corner and viola it’s there, a little spot of magic. 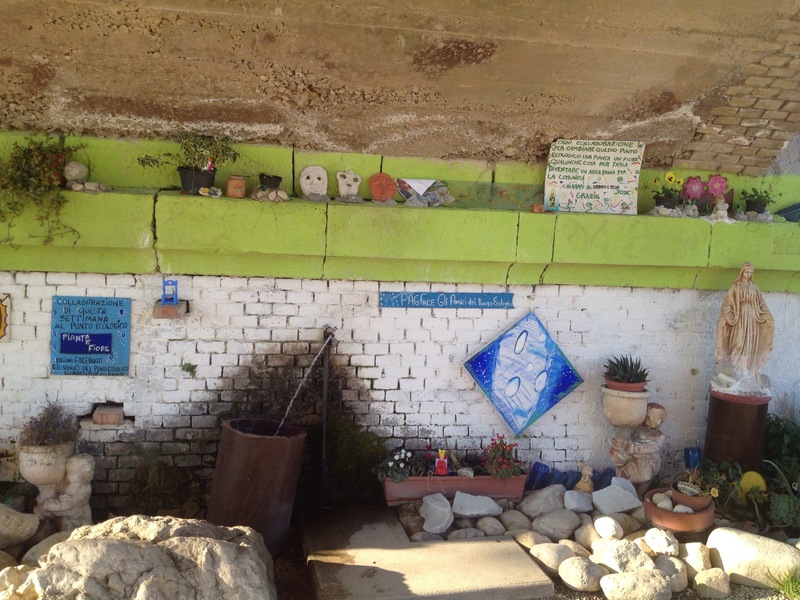 This time we stopped to get something from one of the road side stalls, and because things were a little hectic after town I took one of the girls for a walk, we turned a corner under a bridge and found a little spring. It had a real nice touch, all decorated from rubbish thrown before, it was a work I art! 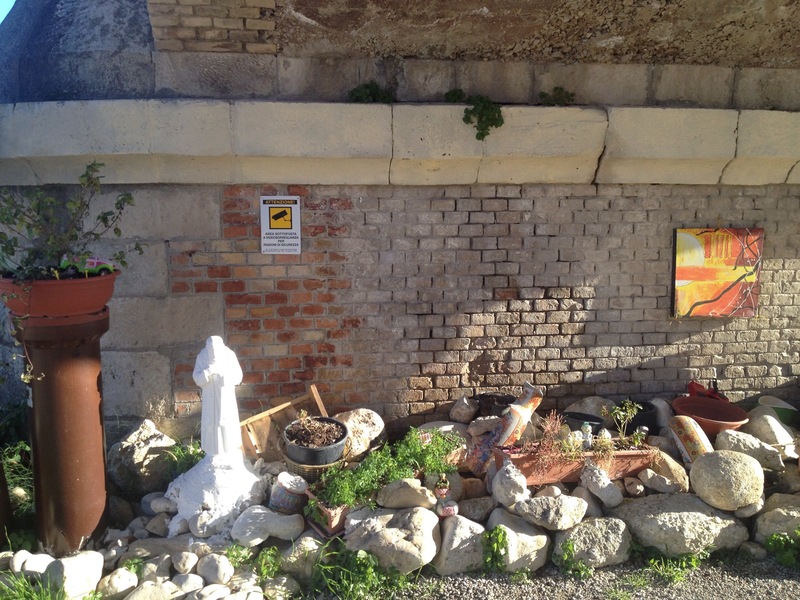 we found out it was a church initiative, they made nice little art out of all the rubbish that has been thrown. Although under a busy bridge, it felt so tranquil. Having worked at the alternative edge of the leisure industry, helping campsites make retreats and sites for people to enjoy being away from it all, I was overwhelmed how simple it has been to create magic here, a place that felt so gentle and magical, with old statues an discarded posters, with little plants and of course the old spring. How much better it felt to some attempts we have been part of by campsite owners to create the same magical atmosphere. 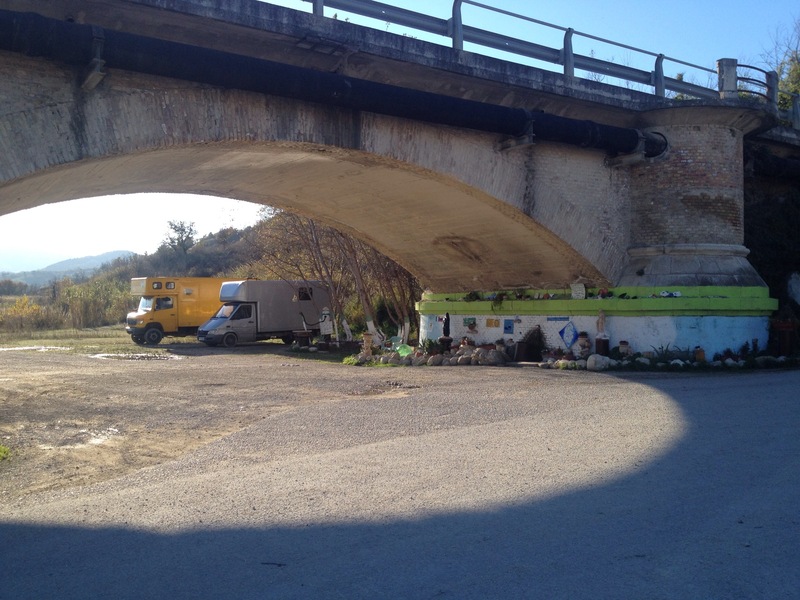 There is this tendency when you travel to give good spots names, this one was christened “the junk yard of infinity”. There is a story about a Mexican shaman who led his group of sorcerers in journeys to other worlds. But his greatest love was to travel to the outmost corners of infinity, he would go to unvisited corners and would experience wonders. The story states that not only he seen wonders in his other worldly travels to the junk yards of infinity, he would come back and re-create some of the wonders he saw. At other times he would wonder into the other attention unseen and would bring the things he viewed there back with him, he had a collection of those “inventions” and this is what this little place reminded us of. 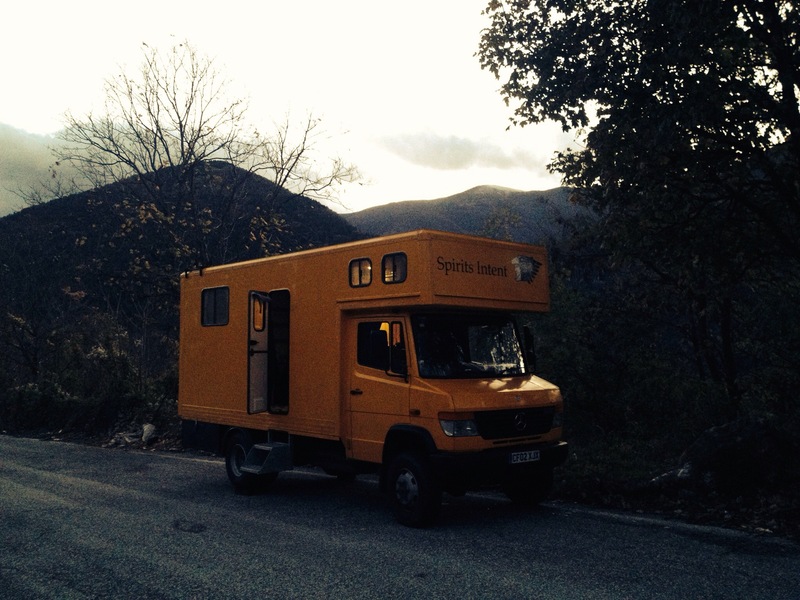 It was a refreshing contrast to speaking with the authorities about campsites, and dealing with buying land and surveyors, reminding me that actually it takes so little to make us “feel that magic”, in fact it’s probably the less there is, the more the magic. I have been travelling for almost 20 years, mostly in Europe, but elsewhere too, I have a love for the mountains because people tend to be more open and hospitable, and much simpler, so I have traveled through quite a few ranges over the years. 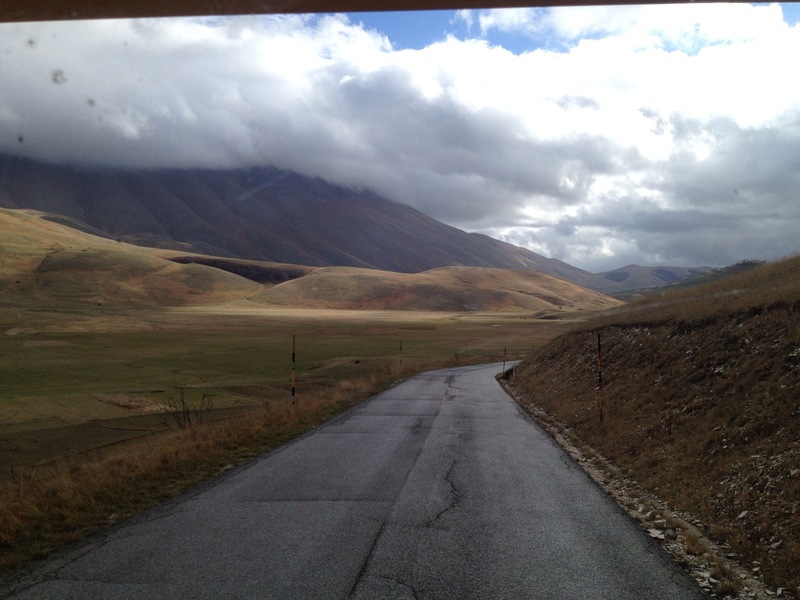 Driving through the Apennines was a real voyage of wonder for me, here was a long range of mountains going through my favourite country in Europe and they are….. amazing, and I never new about it, thinking them to be a little range of hills. Instead of going up to chiusi della verna (where he got his stigmata wounds), like we did last time we came here. 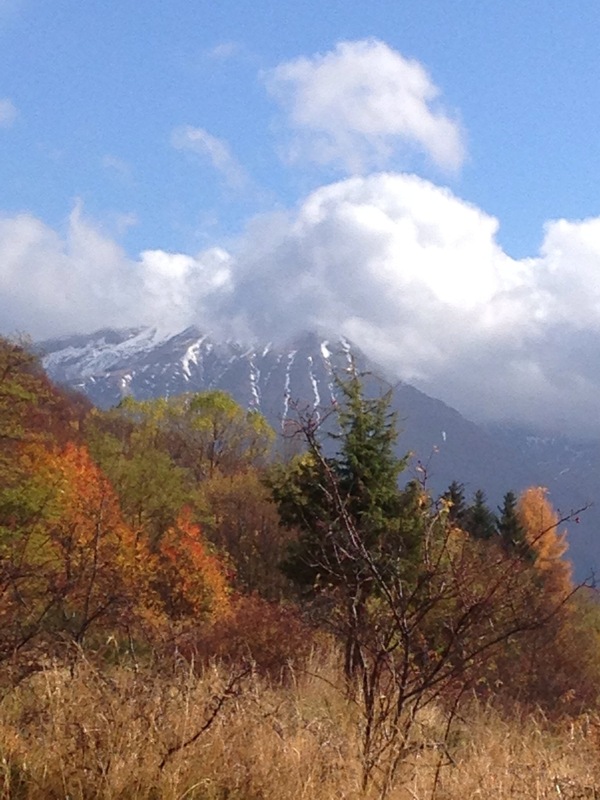 We chose to continue down the road a little and enter into the mountain there. Reaching the mountain top I was amazed by some of the scenes, like the grand plane (piano grande) in the south of the monte sibilini national park. The scenery looked as if it could be in Mongolia, with horses roaming free and open grassy planes with Shepards walking their flocks, although the distinctive hill top village was looking like something out of the Middle Ages and very European. We left Umbria at Forca di presta, another amazing mountain overlooking the hills, covered with hardwoods. We entered Abruzzo by Lago di campotosto, back in the UK this would be a tourist hot spot, here it is quiet and on it’s own, the snowy cap of the gran Sasso mountains can be seen and one starts to appreciate the diversity of Abruzzo, with it’s high mountains and national parks it is becoming one of my favourites, very slow and very spectacular. All in all the mountains here are such a wealth, it’s Northern Europe nestled inside the meditarenian, so one can walk through beech forests one minute and be next to cane and fennel the other, from broad oaks to fig trees, it’s got it all, with wild goats, and deer, and even a few bears, and of course plenty of wild boar. This has taken me a few days to get to and the recent snowstorm feels like a distant memory as Spring now begins to lift her pretty head. But somehow out of Jack Frost’s latest dream emerged a new vehicle…Thor. The story goes like this.. 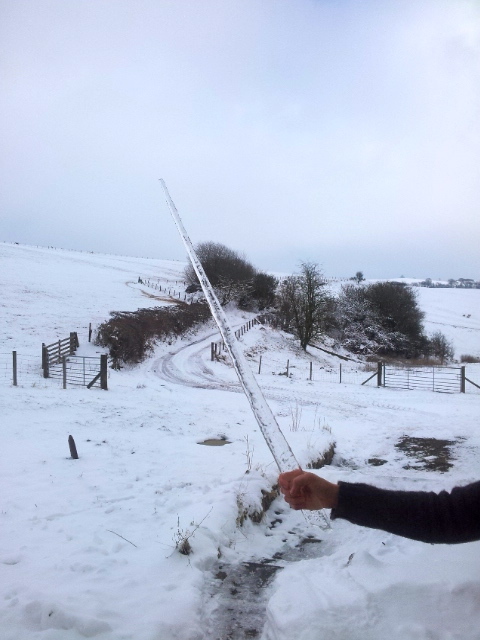 It is maybe our connection to Jack Frost or Angel’s not wanting to leave, but somehow this little Welsh valley got the most snow in the country. Snow snow snow. The first night the front door blew open and there was a pile of snow on the doorstep, and it was all quite pretty and white. The next day we awoke and it was DEEP, and as there snow time like the present, The Heart suggested we go forth with the Land Rover to have breakfast in town. We got to the top of the hill out but got stuck in thigh-high drifts which had blown from the fields either side of the track, so had to dig our way back. 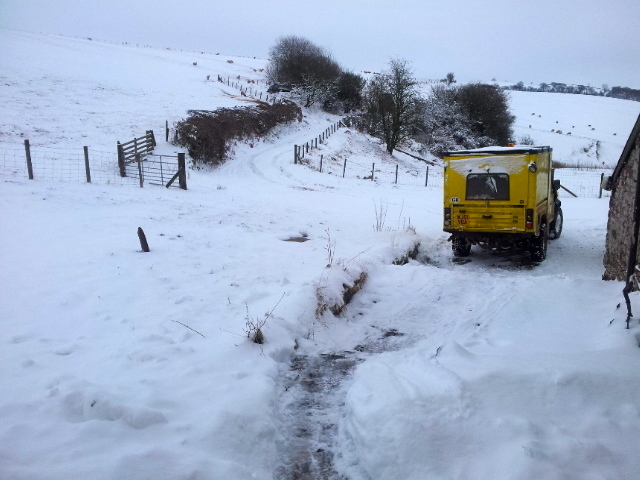 It was very exciting being snowed in, like a siege until we got down to the last carrot and then Ivian, the farmer, managed to get his 4×4 tractor in to tow the Land Rover out. We thus avoided the challenges of scurvy. 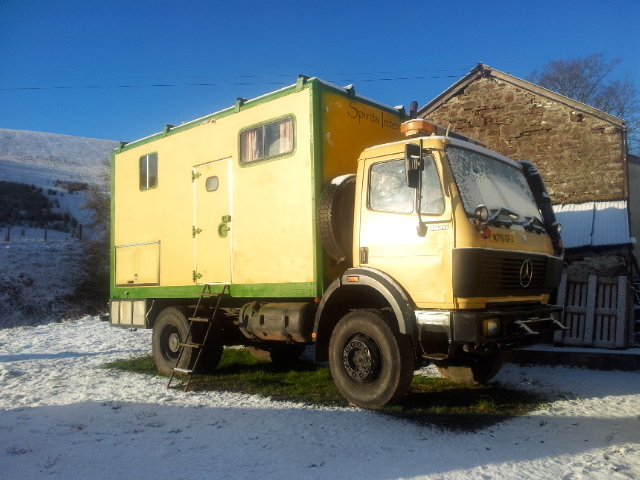 We then went on a wintry mission across the country to meet the new truck, a Mercedes 814D 4×4. 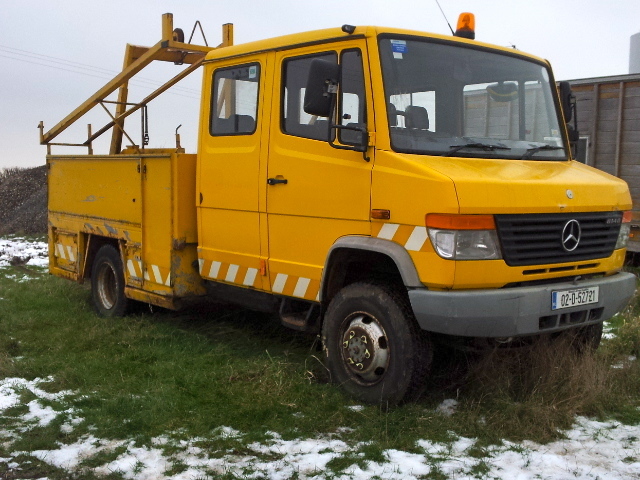 There seems to be a bit of a snow theme and a yellow theme with our vehicles, as the 1820 was a road gritter in a previous life, and was yellow but is now in the process of being resprayed, although it is taking a long time whilst waiting for a dry day in Wales. And when I first went to get the (yellow) Land Rover there was a spectacular hail storm, then the sun came out when she drove towards me. 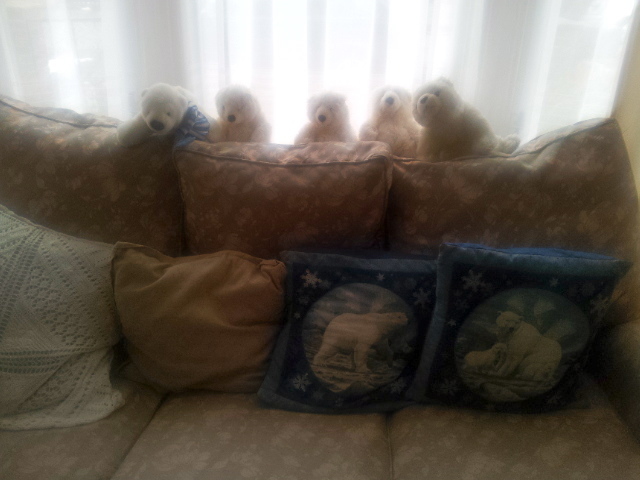 So we knew that we were onto a winner when we got to the guy’s house through the snow, and he turns out to be a polar bear fanatic with pictures of polar bears, stuffed polar bears and polar bear cushions etc (and the truck is yellow). 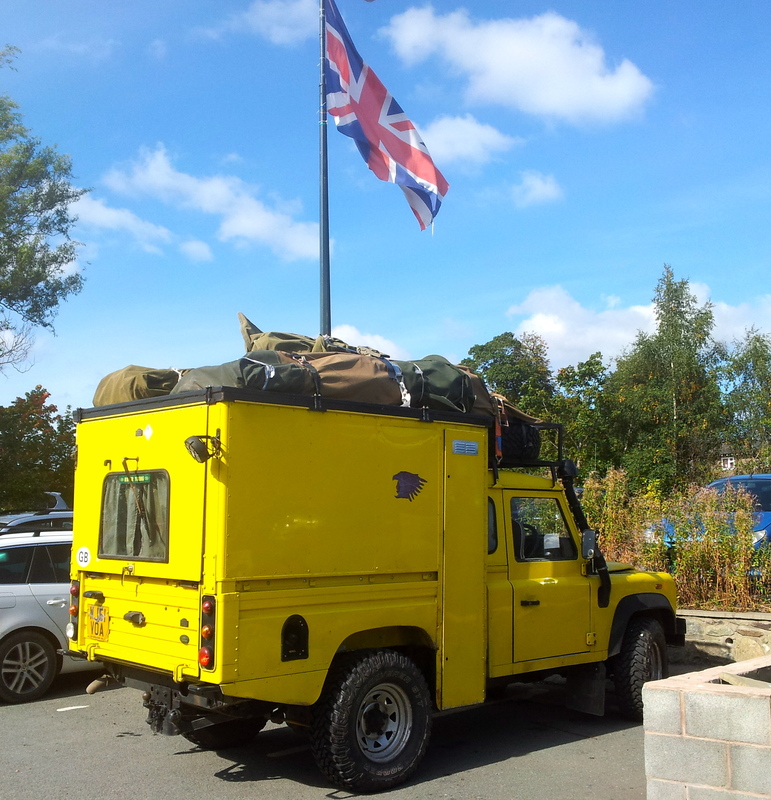 We then re-drove across the country and made it to Hereford, where the cap of the Land Rover’s fuel filter fell off stranding us at a Cash and Carry car park with an unhappy boss, on a closing Saturday afternoon. No new fuel filters were to be had, then The Heart came up with the idea of putting a bolt in the old filter. Great…but I had only bought 10 litres of diesel, not enough to go through the system, so back to town for more diesel, then back to the car park…where the Land Rover battery is flat, so we jump started….and we made it out with 15 minutes to go on the closing gate…. So…we got back to the farm with the dark already descended, but a full moon behind the clouds. The farmer drove us up the steep hill in his Isuzu, and despite there being little snow left elsewhere, somehow our track was still knee deep in wet snow. He has good tyres, and a sense of adventure, and after getting stuck a few times, drove some tracks through the mush,….then the Land Rover and the new Mercedes made it up the hill in one go. The minute we got home, there was a big flash of lightning, a roar of thunder (the first since we got to this little valley), and a torrential storm started which washed all the snow away….and brought the thaw with the promise of spring. Thor is the God of thunder and lightning (and 4×4 trucks). My name is Lucia, and this here is the story of the Last Act on Earth, a story of a journey into a living myth, and to a place where the inner and outer dreams join together. The story is of the way a particular group of people come together in a formation, and so doing, form a greater body, more than the sum of its parts: a group body. This meta-being then travels to create a free land, a place that has freedom at its core, not the idea of freedom as licence, the commonly held belief in these times, that freedom is about ‘doing what you want’, but freedom of perception. In this place, awareness is unmodulated, and the people that dwell there are free to further it beyond the confines of society and across the borders of perception itself. It is called by one of our collaborators “The Republic of the Imagination”, and we believe that it is more than that, this process making it more than just imagination. As we have been working with this concept for some years now it has become more and more obvious that it is not our personal story, but an impersonal story that is out there at large calling us all to go beyond the usual, or even unusual, definitions of the world, to find that free state with the free people, to find out what freedom is. I have decided that it is time to share this voyage with the collective that is being called. And in doing so converse with that being who is inviting us all to journey and explore, hoping to convey not just the invitation, but also to catch a glimpse of the spirit itself which calls the shots.